At Girard's Garage Door Services, we take care to provide our customers high-quality services personalized for their unique needs. We are available to assist you 24 hours a day, seven days a week. Our staff members are professional, courteous and efficient. A garage door is a portal to your home and valuables, so we understand how vital it is to have a secure garage door. When you’re on the hunt for a reputable garage door repair company in the Lehigh Valley, you want to know you can trust your chosen professional. Our company is licensed and bonded, giving you peace of mind knowing you’re protected. You have peace of mind knowing that your garage door is in the care of knowledgeable professionals who will repair your door right the first time. Contact Girard's Garage Door Services today for 24-hour Emergency Garage Door repairs and garage door replacement services. 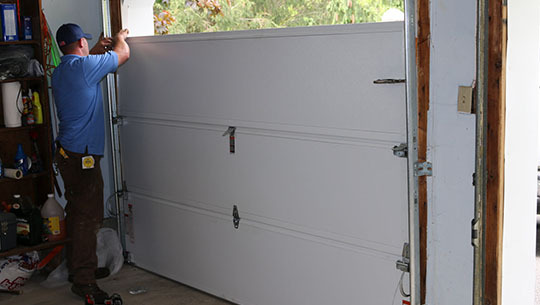 If your garage door panel needs replacement, you can count on us to handle the job. We recommend contacting us immediately when your garage door has a broken panel. Due to the potentially hazardous nature of the situation, a broken garage door panel may appear unsightly, but it can also cause your overhead door to malfunction. In certain instances, these dents and dings aren’t significant enough to impair your door’s performance. However, certain dents or cracks can be critical enough to affect the proper operation of the garage door. In these cases, you should call Girard's Garage Door Services so we can replace the panel immediately. Whether you need to replace a single panel, or a whole new garage door, we can help you resolve your issue at an affordable cost. We take pride in the work we do. We provide you with the highest level of quality, excellent customer service, and professionalism. Our technicians will thoroughly evaluate your overhead door project from start to finish. With many happy customers in the Lehigh Valley area, we work hard to make you the next satisfied customer on our list. 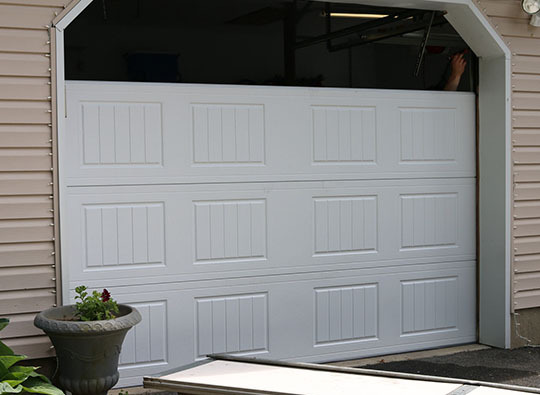 If you are in need of a garage door panel replacement, contact Girard's Garage Door Services. We'll get the job done right the first time, and in no time. Contact us today for a free estimate. When you call, a live person will answer the phone, and one of our trained professionals will be on their way shortly. We are dedicated to phenomenal service and stop at nothing less than perfect. We're here for you in any situation.